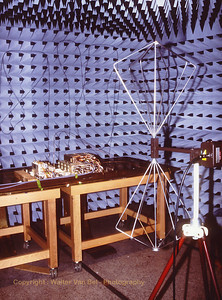 EMC-testing of the LLMS-payload at Alcatel-Bell. 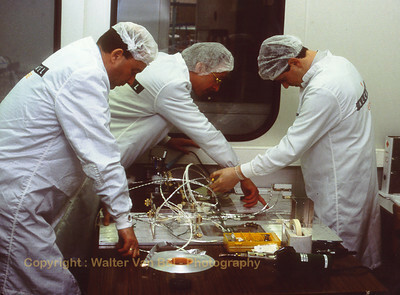 Jos & Manu are inspecting the Harness of the LLMS-payload. 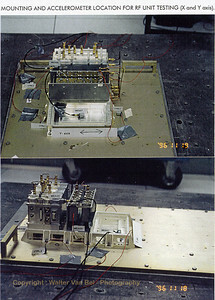 The EQM-model of the Alcatel-Bell part of the LLMS-Payload. 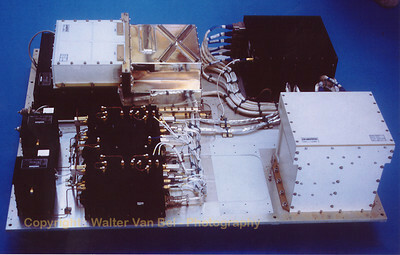 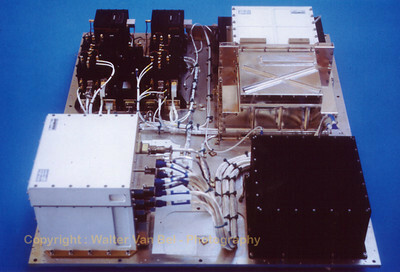 The fully integrated Attached Payload of LLMS. 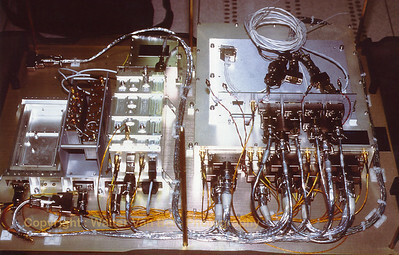 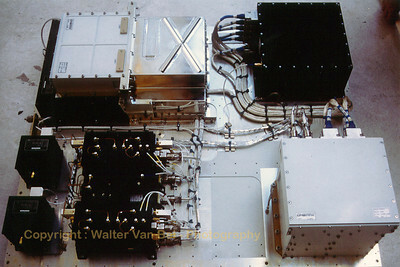 The RF front-end of the LLMS-Payload during Vibration Testing at Alcatel Bell.